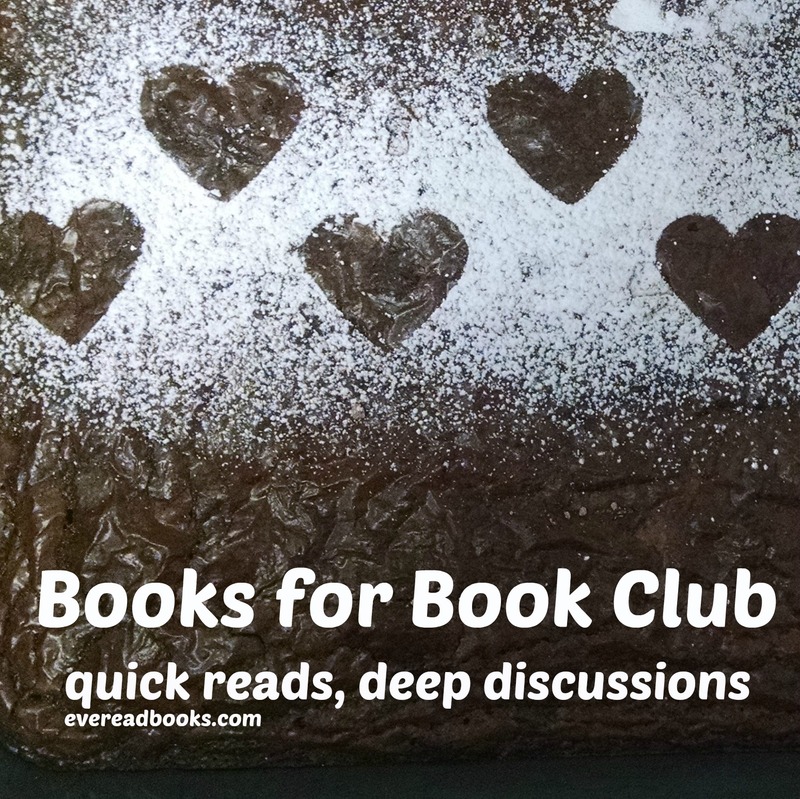 Are you wondering what book to pick for book club? I've got some great recommendations for you. I'm hosting book club at my house tonight and I'm SO looking forward to it. We moved to Connecticut this summer and moving is always hard. Thankfully, I'm part of a worldwide church, so I get connected to church ladies pretty quickly. And almost always those church ladies have a book club running. So hooray for book clubs! They help me make new friends, think deeply, and enjoy myself. Tonight the book we'll be discussing is Around the World by Matt Phelan. (The image above is an affiliate link to Amazon, if you want to check it out.) I hosted this book for a previous book club, some years ago, and I loved it. So I picked it again and I can't wait to hear the discussion. This book is a graphic novel, and is the perfect introduction to graphic novels, in my opinion. It tells the true stories of three world travelers: the bootstrapper, the feminist, and the loner. It takes about 2 hours to read (at the most!) and can keep a discussion going for a good 2 hours. So, perfect book club pick. Back in Illinois I was in a great book club and we read read Baby Catcher: Chronicles of a Modern Midwife by Peggy Vincent. It was excellent! I feel like when you get a group of moms together, they can talk about childbirth endlessly. Each section of this birth is short, so even if members can't finish the whole book they can still contribute to the discussion. I wrote all about it here. Reading The Happiness Project by Gretchen Rubin for a book club got me hooked on all things Gretchen Rubin. We had a great discussion from the book (Some, loved it, some hated it, some were in between) and now I follow Gretchen's blog and listen to her podcast and have read her other books about happiness and habits. I wrote more about The Happiness Project here. Another book that is a super-quick read and can sustain a good long discussion is Keturah and Lord Death by Martine Leavitt. It is a fairy tale type story, but it contains a lot of wisdom. Often when I'm sweeping my floors I think of Keturah's friend and the lesson she learned about sweeping. Read my full review of this book here. Whatever you end up picking, I hope you have a great time and make friendships that last a lifetime! Sign up for my email list and get great books in your inbox!